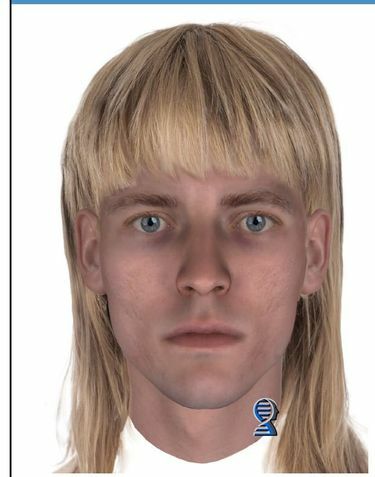 DNA left at the crime scene was used to create composite drawings of the man who killed 16-year-old Sarah Yarborough at Federal Way High School in 1991. Police and her family hope her murder can be solved after all these years. Even though it’s been more than 26 years since 16-year-old Sarah Yarborough was found strangled in the scotch broom bushes that ringed the campus of Federal Way High School, her unsolved homicide has never gone inactive. The case files have been passed down from detective to detective as investigators have retired and left the King County Sheriff’s Office, which does not have a dedicated unit to investigate cold-case homicides. 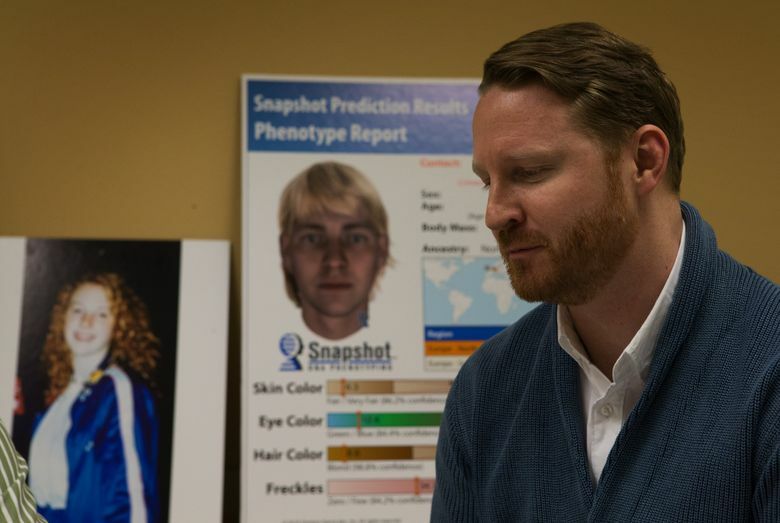 A couple months ago, the most recent detective on the case, Kathy Decker, sent off male DNA found at the crime scene to a private lab in Virginia that specializes in DNA phenotyping, which is predicting physical appearance and ancestry from unidentified DNA. Authorities ask anyone with information on the teen’s killing to call 206-296-3311 or email mcutips@kingcounty.gov. 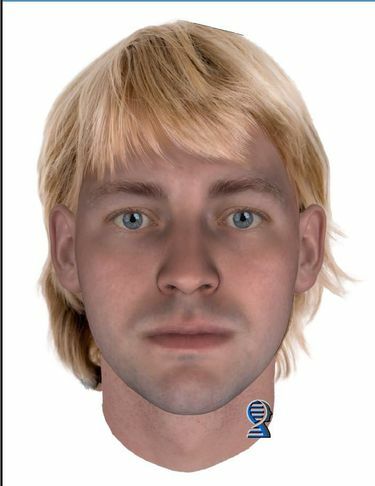 Last week, the lab provided composite drawings of what the killer likely looks like — both now and in 1991 — based on his genetic markers. 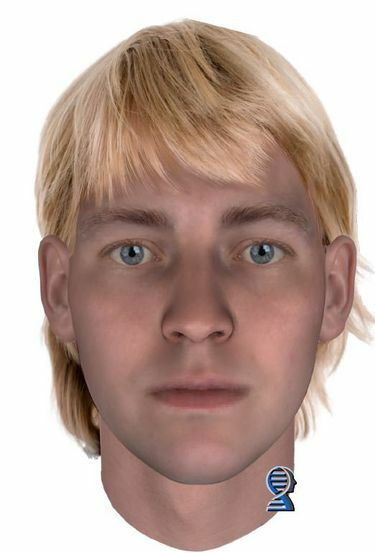 Since DNA can’t determine age or body size, the composites are scientific approximations of the suspect’s facial features. 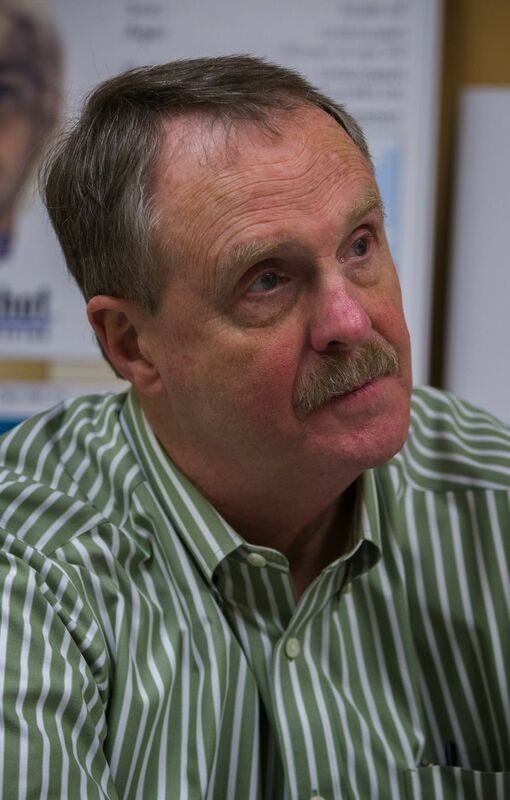 Yarborough’s killer is of Northern European descent, and there’s a 99 percent chance he has blue or green eyes — which effectively eliminates a large number of possible suspects, said retired Detective Tom Jensen, who was brought into the Yarborough investigation a week after her body was found and remains involved in the case as a volunteer. “Hopefully someone will recognize him, and it’ll generate the right tip and we can retire for good,” Jensen said Friday during a round of media interviews to publicize the results of the latest DNA analysis. “I’d definitely like to see it (solved) in my lifetime,” said Detective Jim Allen, who inherited the case in 2001 and gave it to Decker when he retired a year ago. It was Allen who submitted the killer’s DNA for genealogical testing in 2012 that revealed the unknown suspect was a distant relative of Edward and Samuel Fuller, who crossed the Atlantic on the Mayflower in 1620. That analysis generated some exciting leads, but they all turned out to be dead-ends, Jensen and Allen said. This time, they’re hoping they get the one tip that will lead them to a name of the person who matches the killer’s DNA profile. Though they can’t discount the possibility the killer is dead, it is curious that his DNA hasn’t been matched to other unsolved crimes or known offenders in CODIS, the national Combined DNA Index System operated by the FBI. “It’s the only instance of this DNA profile in existence, so where did he go?” Jensen said. On a cold, Saturday morning in December 1991, Sarah Yarborough drove to Federal Way High School and parked in the back parking lot. She and other members of her drill team were to board a bus for an event at Juanita High School in Kirkland. She arrived early — a witness saw her pull in around 8:10 a.m., even though the bus wasn’t to depart until 9. At 8:20 a.m., another witness noticed her car engine was still warm, despite the frigid temperatures. Two brothers were cutting through the campus on their way to the store when a man stepped out of the bushes. Both boys got a good look at him before he walked away, and “where he had come out, they saw Sarah’s body and immediately ran home and told their parents,” Allen said. One parent called 911 while the other parent walked back with the brothers to the crime scene. Yarborough’s body was found maybe 100 yards from her vehicle, and there was no reason for her to have walked in that direction, said Allen, which means she was either lured or dragged to her death, police believe. Ted Boe was a 15-year-old sophomore and knew Yarborough, who was a year older, only enough to say “hi” to her in the hallways at school. “She was a popular girl … an all-American girl, so to speak,” with beautiful red hair and an ever-present smile, said Boe, now the captain of the sheriff’s Major Investigations Section, which includes the major-crimes unit responsible for investigating homicides. Yarborough’s violent death shocked the community, forcing kids who should’ve been thinking about grades and girlfriends to consider their own safety for the first time, he said. “People were conscious of not being alone. It forced people to grow up too young,” Boe said. He’s convinced the Yarborough case can be solved and marveled at the technological advances that have made genetically based, composite drawings possible. “I think this image pops and helps you see what this guy looked like then, and with the age progression,” Boe said. The brothers who saw Yarborough’s killer worked with artists to come up with sketches of the suspect at the time, but those black-and-white drawings require the viewer to use his or her imagination and are “limited by the witnesses’ perspective and the artist’s ability,” Boe said. But now that the Sheriff’s Office can disseminate the composite drawings, “I think it makes it easier to make the connection without using a ton of imagination,” he said. Yarborough’s youngest brother, Andrew Yarborough, was only 11 when his sister died, but he remembers her taking him to his soccer and swim practices. He’s grateful for the long line of detectives who have kept his sister’s case alive — and each new turn in the investigation has helped strengthen his family as they talk about the daughter and sister they lost. Sarah Yarborough was passionate about dance, music and performance art, but she was equally passionate about math and science, her brother said. Sarah’s childhood friends have remained in touch with his mother, and it’s been comforting for her to watch them launch successful careers and raise families, knowing that Sarah would have made a successful life for herself, too, Andrew Yarborough said. But it’s painful to think about the circumstances of her death. “You hope that it was fast. What was she experiencing in that moment?” he asked, choking up. “As a 16-year-old, you wouldn’t think some random person at her high school would willingly take her life. “I can’t imagine being in that situation, and she had to go through that,” he said.